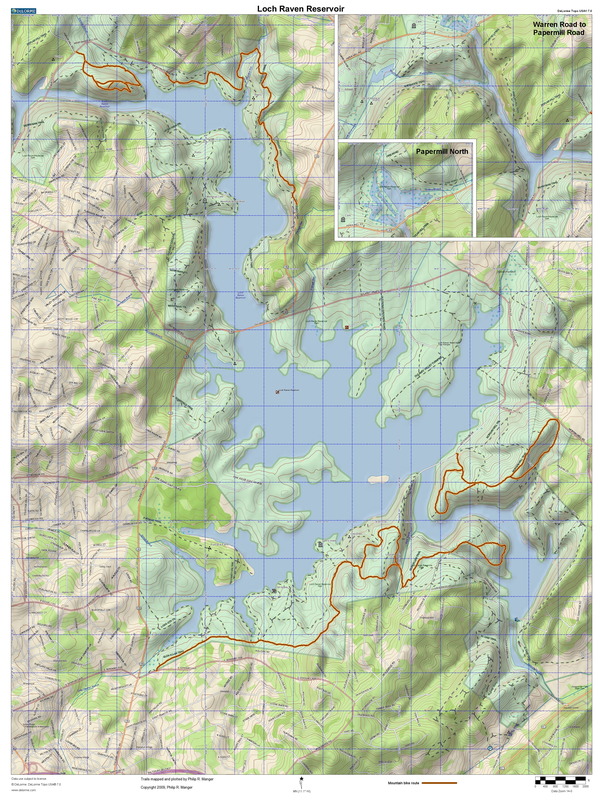 I am always in the process of updating the trail maps. Please let me know if anything’s missing. Note that Loch Raven Drive, between Providence Road and Morgan Mill Road, is closed to vehicles year-round on Saturday and Sunday between 10am and 5pm. During those times, the road is open to walkers, runners, and bikers. Note for Merryman’s Mill Trail: Parking for the trailhead is on the north side of Dulaney Valley Rd., between Old Bosley Rd. and the bridge crossing the reservoir. Note for Glen Ellen Trail: After parking on the northwest side of the Dulaney Valley / Seminary Ave. light (where the church is), you need to cross Dulaney Valley Road at the light to pick up the trail on the other side. Trail is near northeast corner of Seminary and Dulaney Valley Road light.